The 64th Annual Phi Eta Sigma National Honor Society Induction Ceremony will be held this Sunday, March 31st at the Donald L. Tucker Civic Center. Doors will open at 2:00 p.m. and the ceremony will begin at 3:30 p.m.
Mark your calendars for Friday, April 5th from 2:00-5:00 p.m at the Globe Auditorium! Phi Eta Sigma is inviting spring 2019 seniors to the first PES Senior Send Off. Join us for food and refreshments to celebrate your accomplishments before graduating. Phi Eta Sigma members kicked off PES week by cleaning up the newly adopted Stone Road located between Monroe St. and Bainbridge Rd. Members wore their PES shirts around campus to show their spirit for the organization. 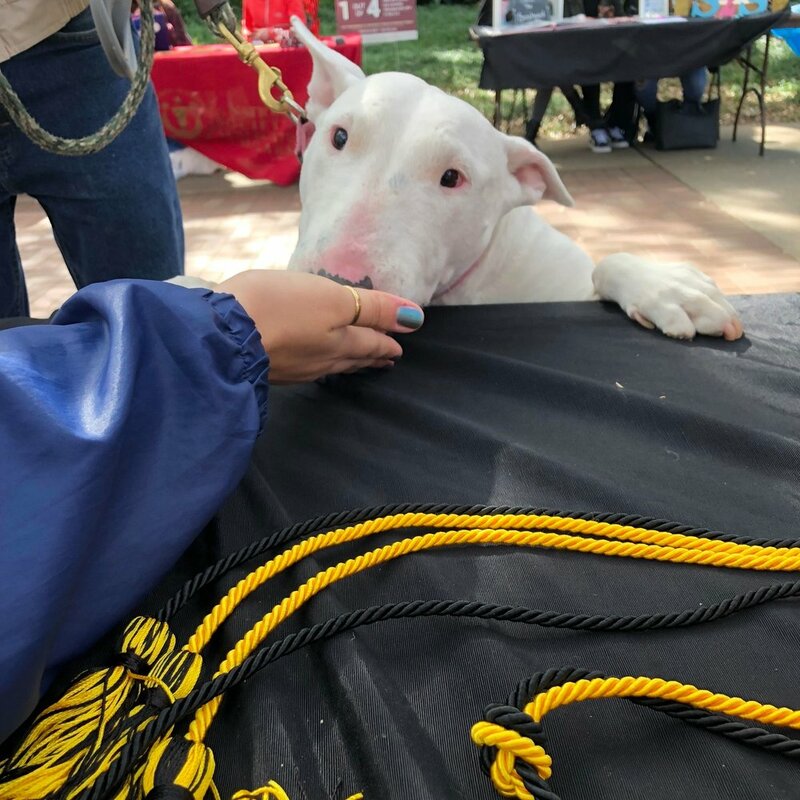 During Market Wednesday, not only did prospective members stop by to ask questions about the organization, but our furry friends also stopped by for a treat! While a Florida State student performed live classical music, prospective members had the opportunity to sign up to join PES and ask current executive board and leadership council members any questions about our active honor society. 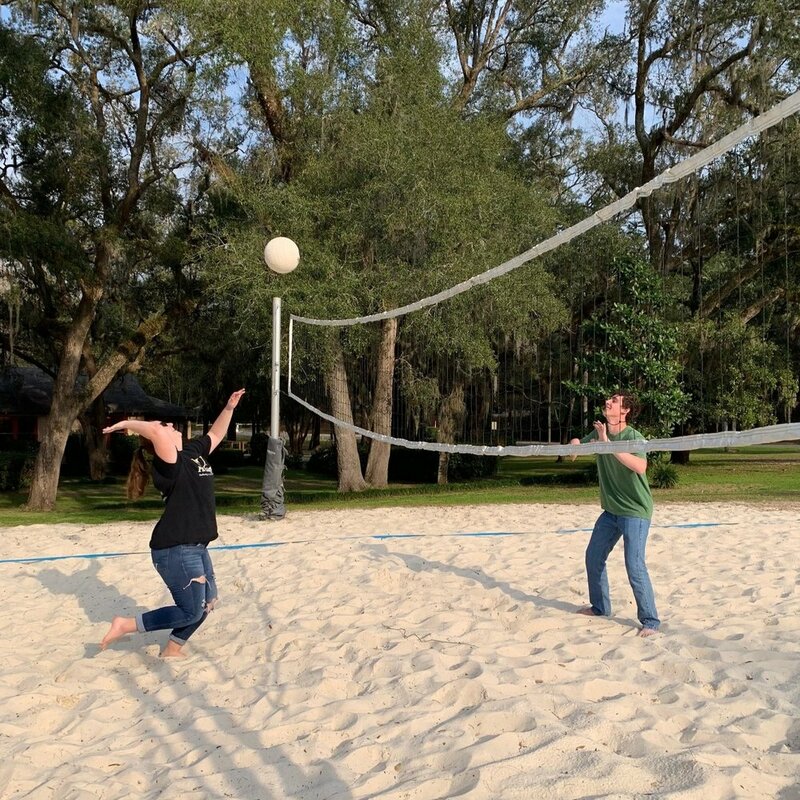 Members ended PES week relaxing outdoors on the 73-acre Florida State University Reservation facility located on beautiful Lake Bradford. The 64th Annual Phi Eta Sigma National Honor Society Induction Ceremony will be held on March 31st at the Donald L. Tucker Civic Center . As newly inducted members, you should be receiving an invitation to this event. We look forward to celebrating your accomplishments with you and your family members. In the wake of Hurricane Michael, Phi Eta Sigma needs your help by contributing to our Food Drive!